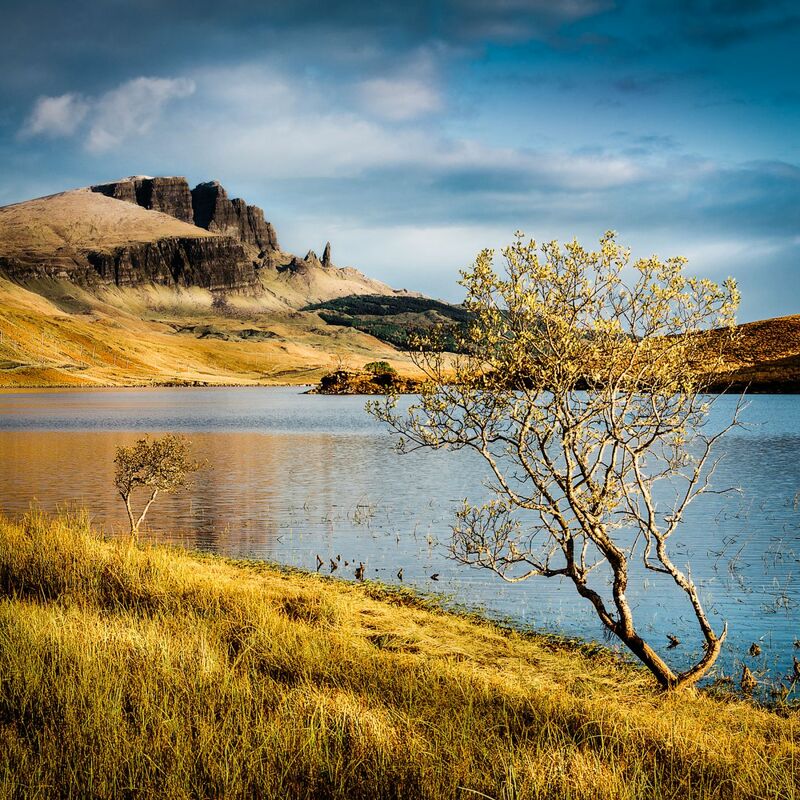 The Old Man of Storr is probably the most famous landmark on Skye. The ‘Old Man’ is a large pinnacle of rock that can be seen for miles around. 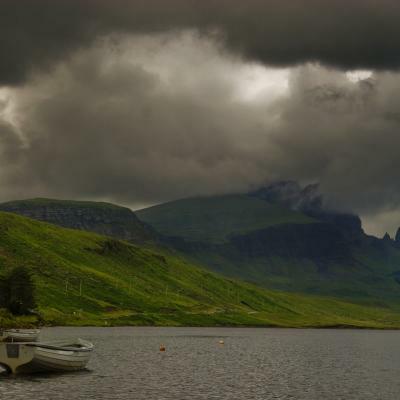 This is a distant view that uses the waters of Loch Fada as a foreground. Drive there, park on the roadside and jump the fence. Uploaded another shot from the same location, sometime three boats are lying there which you also can use as foreground. Exact same spot, a bit of another view. Thank you Robert Dettman for creating this photo spot and Peter Luxem for improving it with additional photos or content.